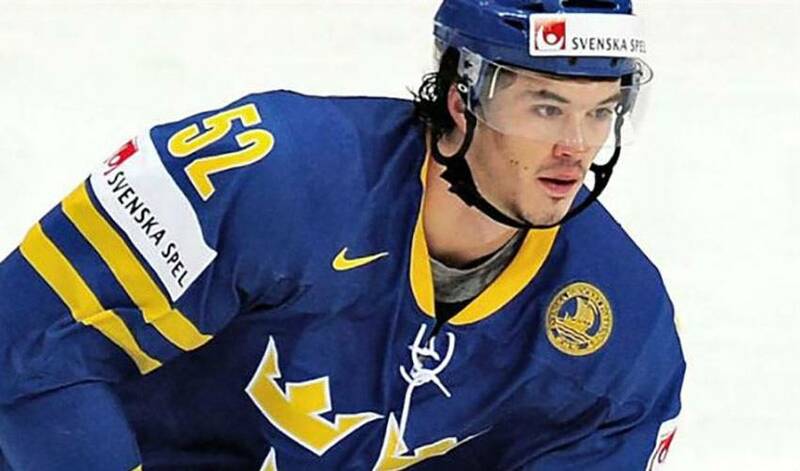 When it comes to Olympic brother acts, Jonathan Ericsson and his brother, Jimmie, are ready to give Team Sweden a solid one-two punch. As thrilled as he was to get the call telling him he was going to be part of the Swedish side that will compete in the men’s hockey event at the 2014 Winter Olympic Games, Jonathan, who has appeared in over 300 games for Detroit, was more elated that his big brother had also made the squad. The siblings have each made their mark in the game, albeit in different leagues. Jimmie, 33, is a centreman and captain for Skelleftea AIK, champions of the Swedish Elite League in 2013. Jonathan, 29, is a defenceman for the Red Wings, who has 64 games of Stanley Cup playoff experience. The brothers were set to play together professionally for the first time at the 2010 World Championships in Germany. It lasted only a few minutes after Jimmie had to leave the tournament with an injury in Sweden's first contest. Now, they're getting the chance they’ve both been hoping for. Perhaps not surprisingly, they didn’t always get along. Despite the odd tussles, there was one moment when Jonathan knew his big brother would always have his back. Jonathan also knows what type of player Jimmie is, too. At least Jonathan doesn’t have to worry about being on the wrong end of a dust-up with Jimmie anymore. A recollection that won’t have a shred of sibling rivalry.